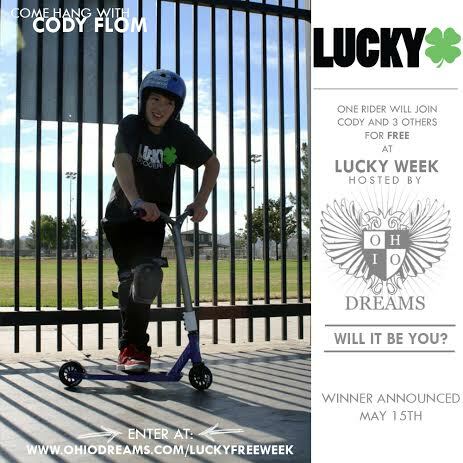 Don't forget Cody Flom is coming out to Ohio Dreams this next week, for a Lucky Scooters week of camp! All of you shredders in the Ohio area should try to make it out to the camp! It'll be a lot of fun.